Since the launch of Brigham Innovation Hub (Brigham iHub) one year ago, many innovative dreams have turned into reality and are now changing the way health care is delivered. David Bates, MD, MSc, senior vice president, BWH Quality and Safety, and co-executive sponsor of the Brigham iHub, said part of the reason the Brigham iHub has been so successful is because there are many people in the BWH community who have great ideas. Take Twiage for example. YiDing Yu, MD, a resident in BWH’s Department of Medicine, and her team, consisting of an Android and Google Glass developer and an MIT engineer, were able to bring their expertise together at Brigham iHub’s first hackathon last year and pitch their idea for a web-based platform that could deliver more accurate emergency information between ambulance drivers and awaiting hospitals. Already utilized by South Shore Hospital, Twiage has plans to expand into a handful of other Massachusetts hospitals later this year. The Brigham iHub, an innovation center that launched during last year’s hackathon, brings together clinicians, scientists, programmers, engineers, designers and others into the same space to “disrupt” business as usual for the purpose of redesigning and improving patient care. 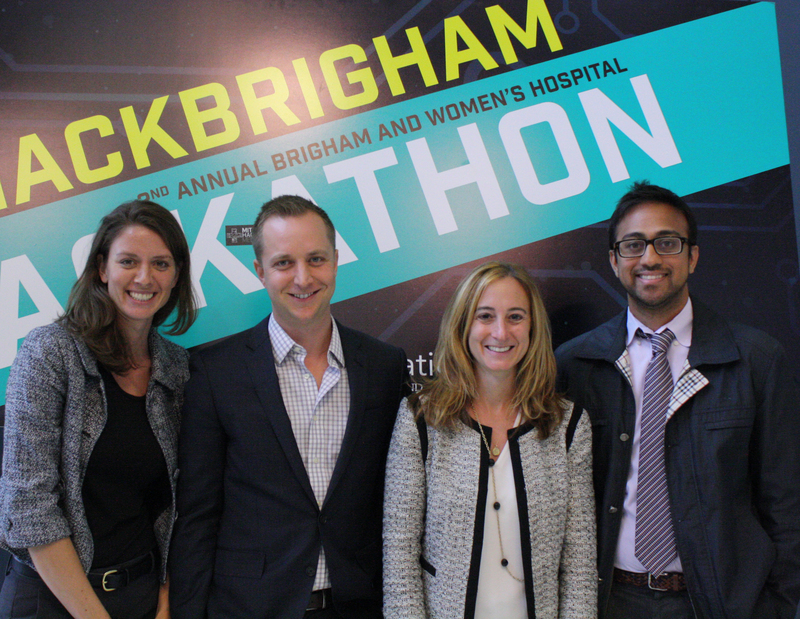 Since its inception, Brigham iHub has hosted events including two hackathons, a Shark Tank competition for start-ups, and an innovation series with the pulmonary and critical care department. These events are exactly what the Brigham iHub team hoped its center would be able to accomplish. Lesley Solomon, executive director, Brigham iHub, said she’s excited about Brigham iHub’s future and looks forward to engaging even more BWHers from various departments to share their ideas. The Brigham iHub has launched a blog and is marketing an “Idea Share” page on its website that allows anyone from BWH to submit an idea for the Brigham iHub team to help explore. Also looking ahead, Melissa Spinks, manager of innovation strategy and operations, Brigham iHub, said she wants the Brigham iHub to be a resource for people who have never innovated.